You can listen to a podcast review of the film here. WHILE WE'RE YOUNG is a funny, acutely observed and sometimes profound comedy from Noah Baumbach - the director behind FRANCES HA and, more happily, GREENBERG. Ben Stiller and Naomi Watts play a forty-something couple alienated from their baby-obsessed peer group who meet and become fascinated by a twenty-something couple played by Adam Driver and Amanda Seyfried. Hanging out with the seemingly-authentic fun-loving hipsters reinvigorates the older couple even as it further drives them from their old friends. But soon the honeymoon is over as we learn that the gap between Gen X and Gen Y is wider than their years - it's the gap between a generation who learned about digital media as it occurred versus the digital natives - and this has a profound impact on every kind of basic world view and value that the two generations have. So, while there are plenty of laughs at the expense of an older couple trying to act young - hip-hop class, rollerblades - there's also a profound discussion of values. Ben Stiller's character is a documentarian who believes profoundly in the truth of the process and content, even at the expense of ever getting a project completed. By contrast, Adam Driver's character is a kid from the generation of staged-reality TV where it's all about impact and entertainment even if the process is fudged and staged. To that end, this film is firmly told from the perspective of Gen X and while not judging Gen Y exactly, basically makes the point that they are different, and there's no changing that. I loved the film and connected to it deeply but I really wonder whether that's because I come at it from the same cohort. Would Millenials feel the same? WHILE WE'RE YOUNG is rated R and has a running time of 97 minutes. 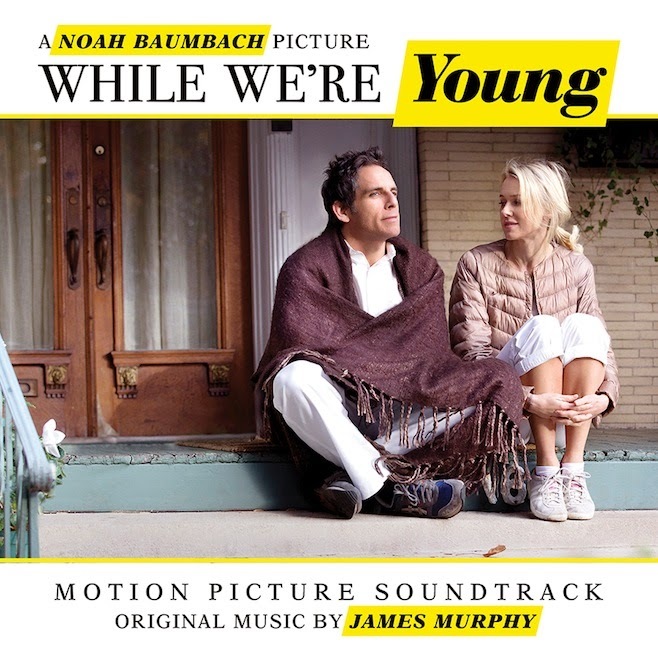 WHILE WE'RE YOUNG played Toronto 2014 and is currently on release in the USA, Singapore, Canada, the UK and Ireland. It goes on release in the Philippines on April 15th, in Spain and Taiwan on April 17th, on April 30th in Israel, in Sweden on May 29th, in Portugal on June 11th, in Belgium on June 24th, in Germany on July 16th and in the Netherlands on July 30th.